Boston: Houghton Mifflin Company, 1986. 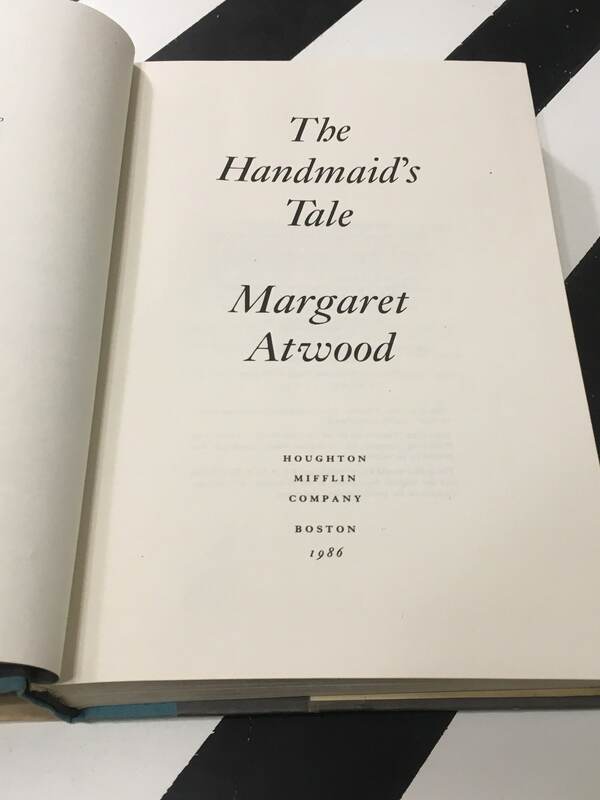 First American Edition/first printing. Hardcover. 8vo. Gray boards with teal spine and gold lettering. 311pp. Poor condition. 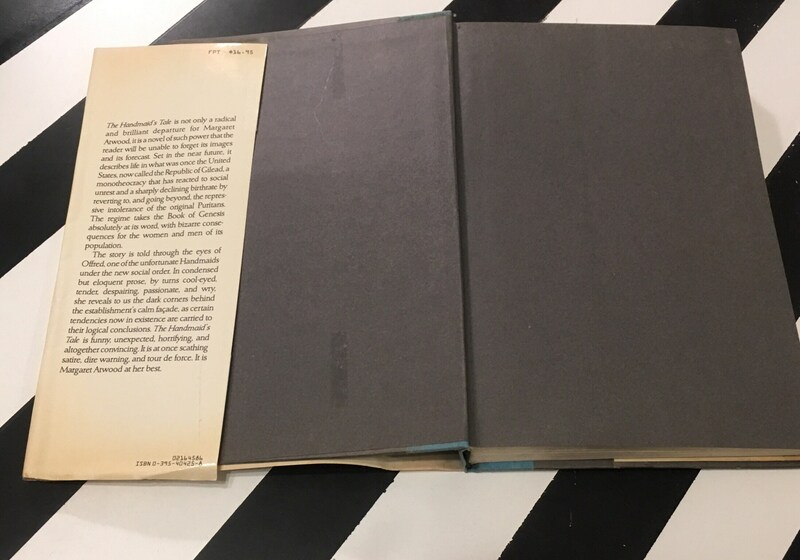 Binding is somewhat rolled. 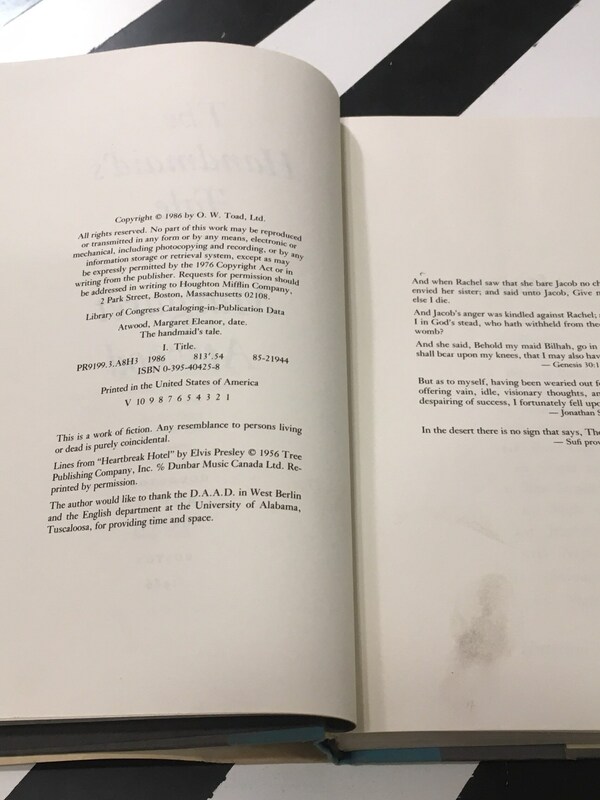 Dried damp stain to areas of the bottom edge of the book (for the most part visible on the inside of the dust jacket). 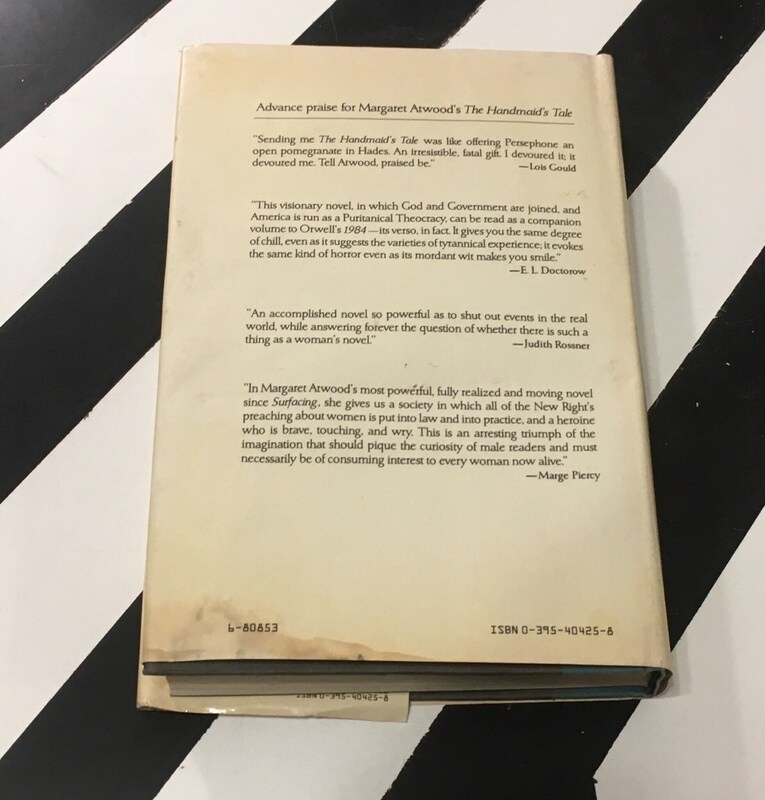 Light damage to inner boards (and to adjacent areas on the dust jacket flaps) where the previous owner had used scotch tape to fasten the jacket to the boards. 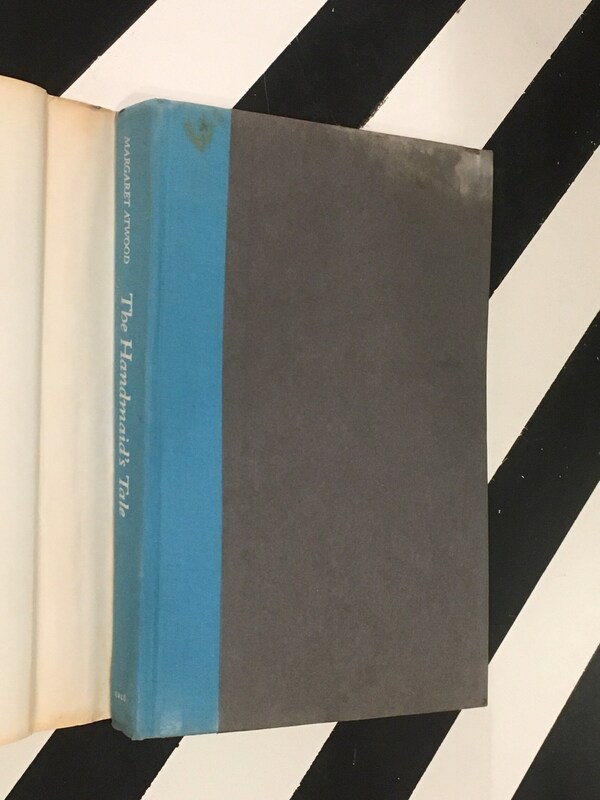 Some creasing, toning, scratching, rubbing, and areas of discoloration to the inner boards, endpapers, text-block edge, and pages of the text. 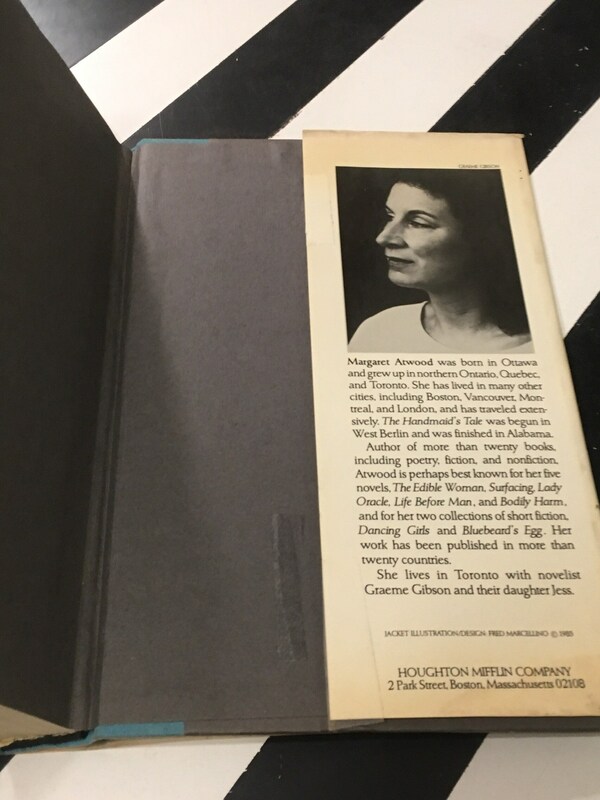 The dust jacket is not price clipped (shows the original price of $16.95) and is in fair condition. Shelf-wear. Puckering at spine. 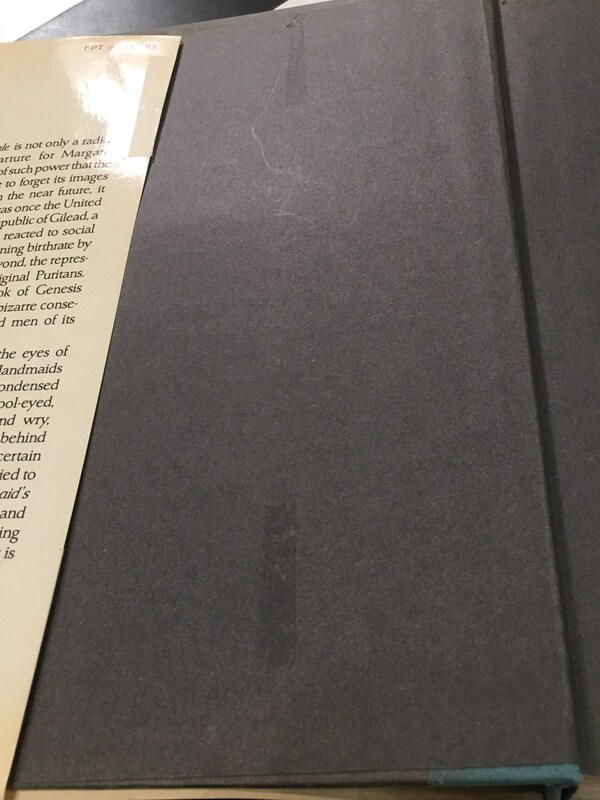 A small area of staining to the lower edge of the rear dust jacket cover. 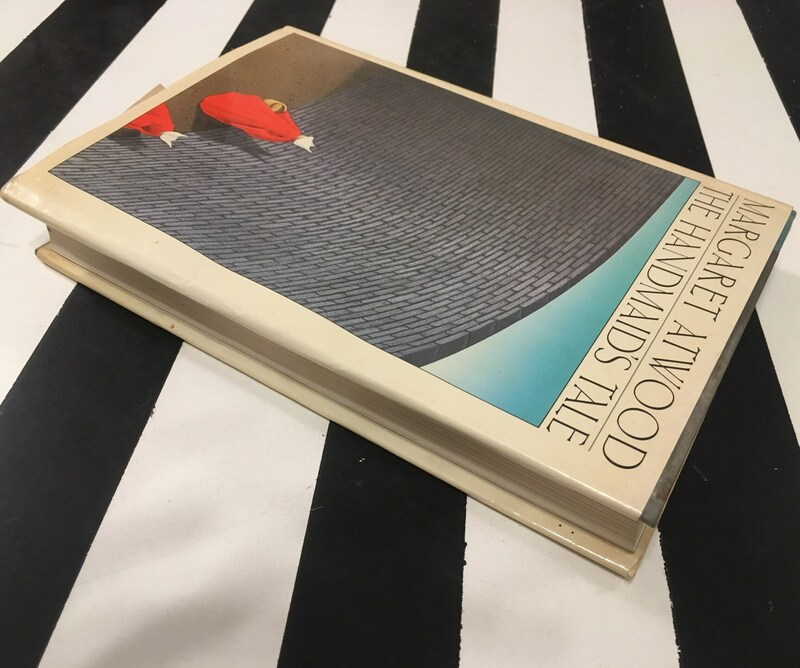 Creasing, toning, scratching, rubbing, small dings, and areas of discoloration to all faces of dust jacket. Flaws aside, this book is nicer than it looks. 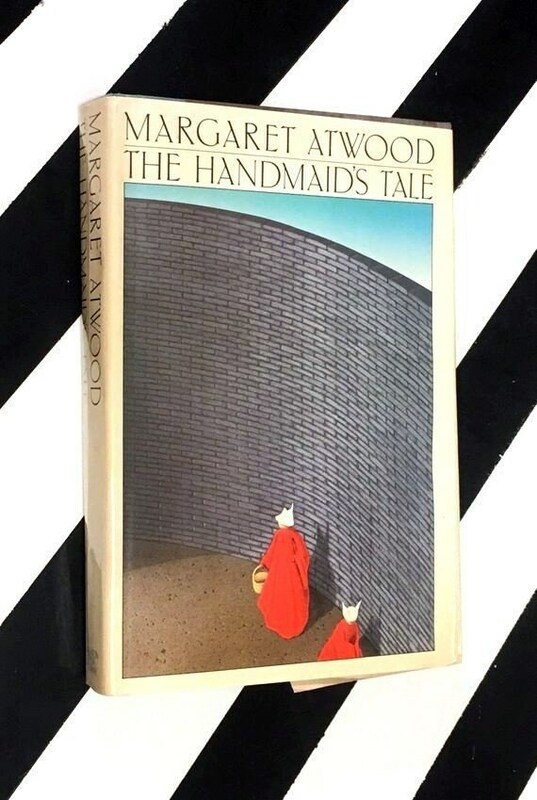 The Handmaid’s Tale has been the basis for two adaptations (one film and one mini-series). 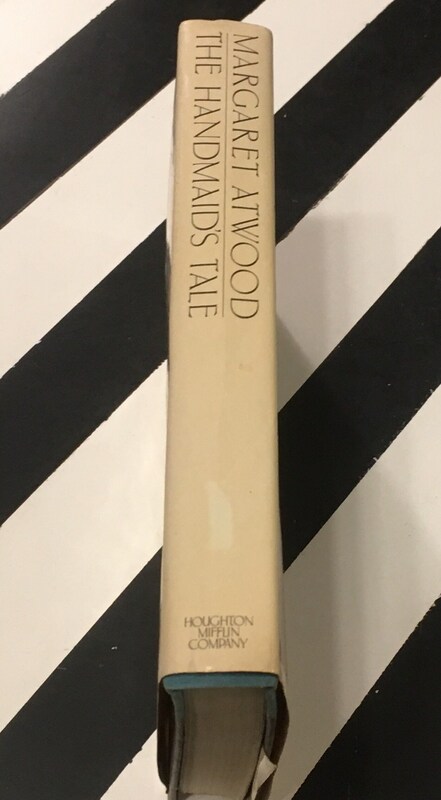 Though the true first edition was published in Canada, we much prefer the cover art on this First American Edition...don’t you?